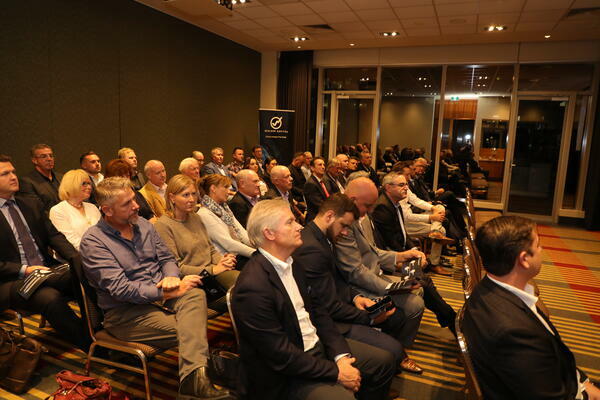 Our first Investment Seminar was held in Melbourne on the 10th of April 2019 at the RAVC Club. 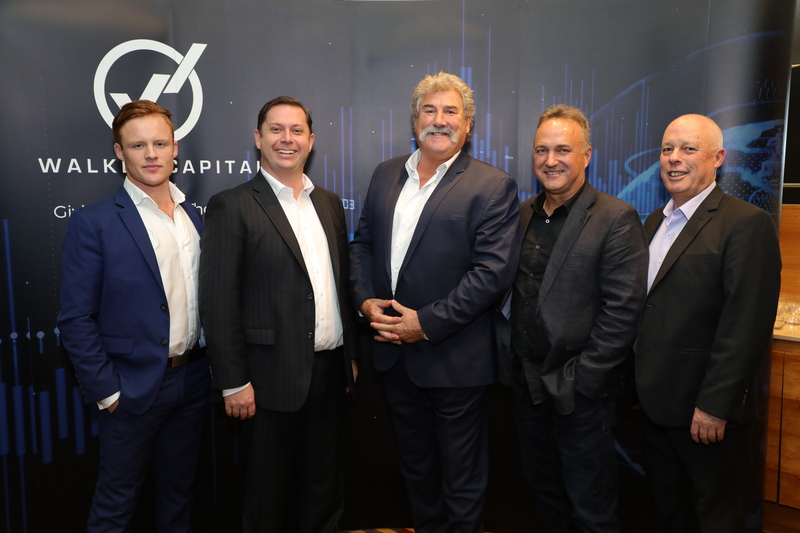 We had a great turnout for the event with the support of Robert DiPierdomenico (Dipper) and our shareholders. 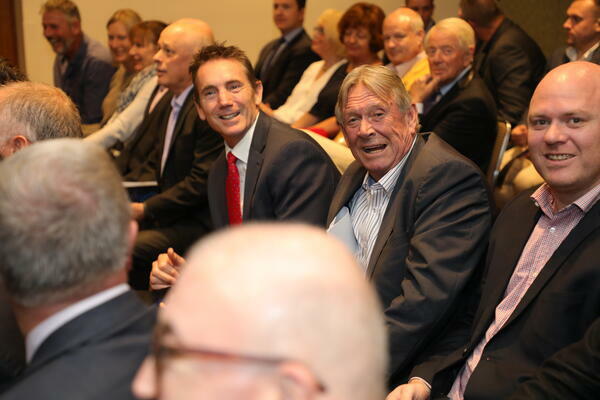 An informative and social night with strong interest in our Managed Investments from the attendee's below is a few photo's of the evening. 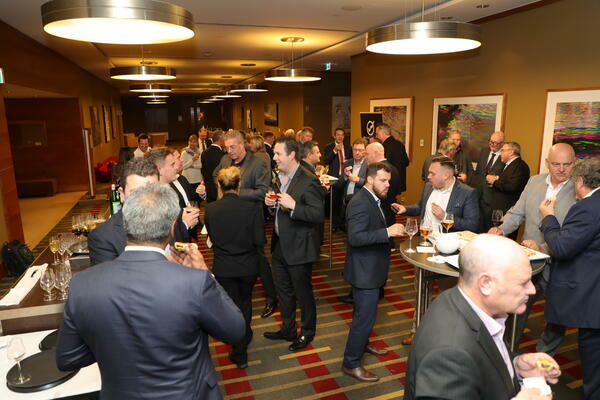 The Institute of Managed Account Professionals reports that in 2018 MDAs experienced year-on-year growth of 31 per cent, representing $14.85 billion, thereby increasing funds under management in MDAs in Australia to $62.43 billion. When setting up Walker Capital three years ago, Walker says he aimed to create an investment company that is ‘‘transparent and secure’’ while simplifying the sign-up process with ‘‘digital onboarding’’ to streamline applications. 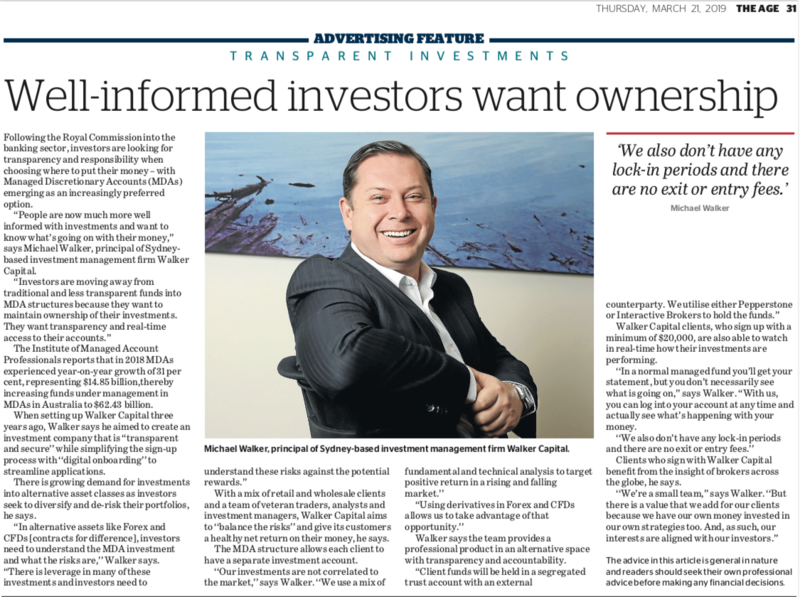 There is growing demand for investments into alternative asset classes as investors seek to diversify and de-risk their portfolios, he says. 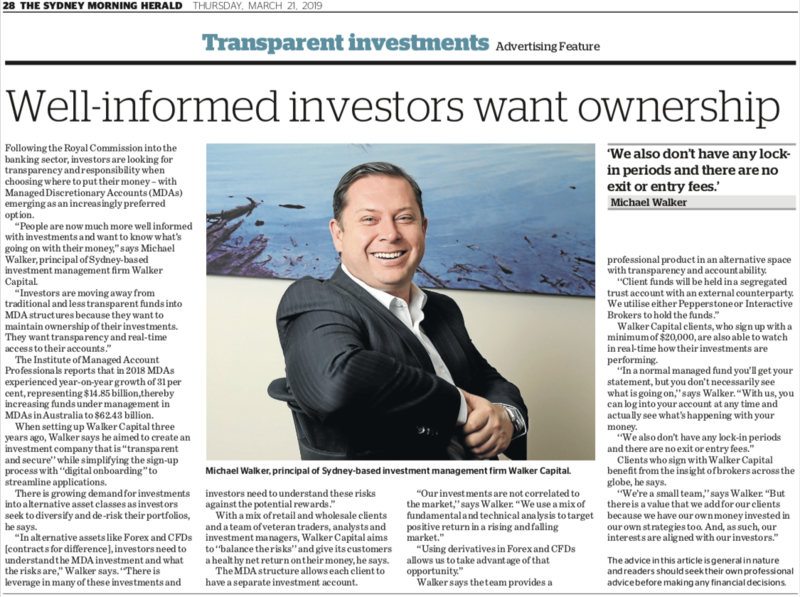 With a mix of retail and wholesale clients and a team of veteran traders, analysts and investment managers, Walker Capital aims to ‘‘balance the risks’’ and give its customers a healthy net return on their money, he says. The MDA structure allows each client to have a separate investment account. Walker says the team provides a professional product in an alternative space with transparency and accountability. Walker Capital clients, who sign up with a minimum of $20,000, are also able to watch in real-time how their investments are performing. ‘‘In a normal managed fund you’ll get your statement, but you don’t necessarily see what is going on,’’ says Walker. ‘‘With us, you can log into your account at any time and actually see what’s happening with your money. Clients who sign with Walker Capital benefit from the insight of brokers across the globe, he says. 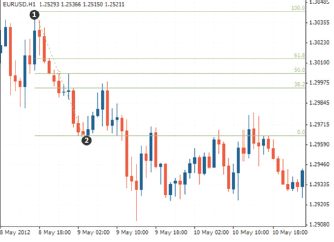 What is a Fibonacci Retracement in forex trading? A Fibonacci retracement is a technical analysis tool used by traders to understand when to place and close trades or when to place stops and limits. Fibonacci retracements depend on the mathematical principles of the Golden ratio14, and they are used to find areas of resistance and support in the primary movements of assets. To calculate Fibonacci retracement levels, traders draw six lines across the asset’s price chart: one line would be at the highest point; one would be at the lowest point, one at the midpoint and three at 61.8%, 38.2% and 23.6%. According to the golden ratio rule, these points should be the ones at which significant levels of support and resistance should be detected. 3. 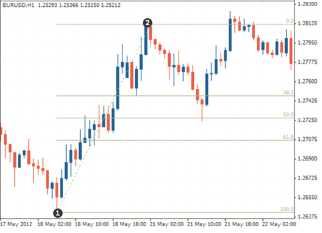 The Fibonacci retracement levels will automatically appear once you have used the tool. They appear in the form of percentages of the total move. 4. You can use the prices at 50%, 61.8% or 32.8% as your potential long entry levels. Wait until the price finds support or resistance15 at these levels and then enter. Do not mix your Fibonacci reference points. Keep them consistent and you should not go from a candle’s wick to a candle’s body16 as this can create a misanalysis. Do not ignore any long-term trends. The major mistake that new traders do is that they look at significant moves which have occurred in the short term, and this can lead to a lot of misanalyses. By looking at the long term trends, one can use the Fibonacci retracements in the right direction of momentum. Do not rely on Fibonacci alone as there is harm in doing this. Make use of additional analytical tools as this will increase your chances of making a good trade. You need the confirmation to allow you to move ahead. Do not make use of Fibonacci retracement levels over short intervals. Applying it over short intervals is quite ineffective, and it will make it difficult for the trader to decide what levels can be traded. you need to analyze the economic well-being of a financial entity as opposed to its price movements alone. 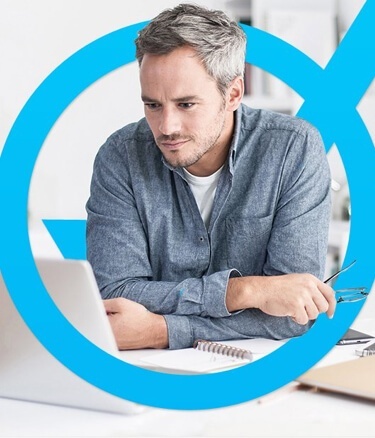 Fundamental analysis is used to identify those assets which are under-valued in the market, which means that they are selling at a lower price than the asset’s intrinsic value. This analysis assumes that buyers would be attracted by the low prices, and this would make them buy the asset in a sufficient enough amount to increase its price. To find the intrinsic value of the property. To conduct this analysis, you need to complete an in-depth and all-around study of the asset and its underlying factors. This would help you determine future prices and market developments. A combination of data is used to establish the actual current value of assets, whether they are overvalued or undervalued and the future value of the assets. When your fellow traders (with less knowledge and experience as compared to you) become a source of pro t for you. You can bene t from their losses by using better trading skills. 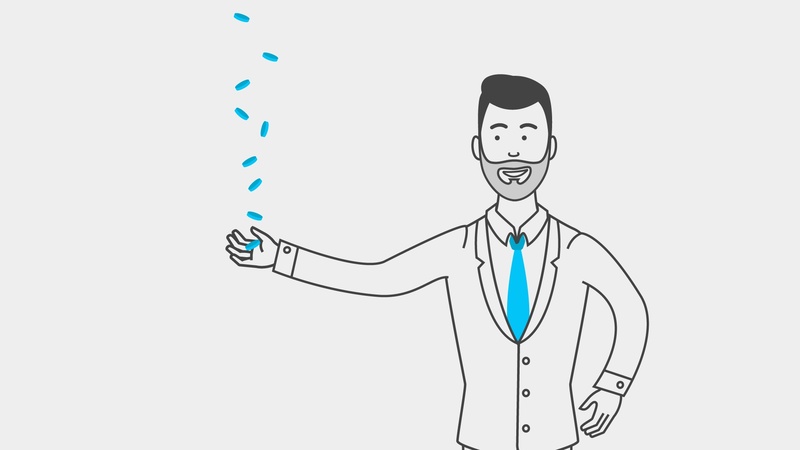 Initial public offerings and issuing additional stocks can give you the chance to cash in on the discrepancy between the price of the stocks or assets and the prices at which they will settle. Established companies, mutual funds and other financial organizations can act as portfolio builders for traders. The trader’s pro t will then become the compensation for the risks he or she has taken. However, fundamental analysis is not suitable for any short-term decision-making methods. Thus, you should make use of it in a strategical manner for longer periods of times. A fundamental analyst would believe that the real value of an asset is based on its stability, earning potential and ability to grow. By exploiting the mispricing that occurs when an asset is priced at a value under or over its real value, the principal analyst seeks to pro t by utilizing one of the two main schools of thought: growth investing and value investing. The top-down approach makes the analyst start their analysis with global economics (like GDP growth rates, inflation, interest rates, productivity, etc.) and then narrow their research to regional or industry analysis (like total sales, price levels, entry or exit from the industry, etc.). The bottom-up approach is when the analyst starts with a particular business and then moves on to a more macro analysis. There are an in nite number of factors that can affect the earnings of a company, its assets and price over time and take them all into consideration when conducting this analysis can be tough. The data being used to carry out the analysis may be out of date. The earnings that have been reported by a company might be deceptive and dubious. Giving proper weightings to the different influencing factors may be difficult. The results obtained from this in-depth analysis only remain valid for a short period and forecasts may become downgraded. The rules of this analysis are always changing as a way to suit the trading game. A single fundamental analyst will understand that other analysts will form the same point of view of the asset, and this will cause the value of the asset to be restored. Again, this may not always be the case. This analysis technique does not take random events into account, like oil spillages, etc. It also assumes that there is no monopolistic power over the markets. It does not indicate anything about the timing of trade, and you might have found an asset whose value has been falling for quite some time and will continue to fall, but you would not know when to make the trade. it is not possible for someone to outsmart the market and identify mispriced assets using information that is available to the public. Another source of great criticism of fundamental analysis is the fact that many believe that it is impractical. It causes analysts to come to vague conclusions about an asset and the number of variables that should be studied. 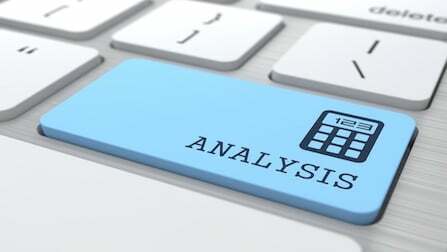 you decide to apply fundamental analysis and it would also be best for you to make use of another technical analysis technique as a way to ensure that the decisions you make based off of the fundamental analysis are not misguided. History has a tendency of repeating itself, which means that a consistent reaction is given to similar market stimuli over time. Map the trends by studying long-term charts. Start a chart analysis with weekly and even monthly charts that span over several years as a large scale map of the market provides the trader with a greater amount of visibility and a better perspective on the long-term market. Short-term market views can be deceptive. Spot the trend and follow it. Market trends come in many sizes (short, intermediate and long-term), and you should determine which one you’re going trade and then trade in the direction of the trend. Also, make sure that the charts you use are by the trend. Find the support and resistance levels, as the best place to buy is near support levels and the best place to sell is near the resistance levels. This rule functions on the concept that the old highs become the new lows. Understand how far to backtrack. Measure the percentage retracements. A 50% retracement of a prior trend is most common, and a minimum retracement is usually one- third of the prior trend. Draw trendlines. These are the most simple, yet effective charting tools that are available as all you need is a straight line and two points on a chart. Uptrend lines are drawn along two successive lows, while downtrend lines are drawn along two successive highs. When a trendline is broken, it usually shows a change in the trend. Follow the averages. Moving averages are your source of objective buy and sell signals, and they help in confirming a trend change. 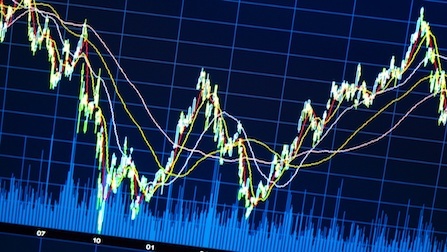 The most popular way of finding trading signals is by combining charts of two moving averages. Track oscillators. They help traders identify markets that are overbought or oversold. They also help warn traders of markets that have rallied or fallen too and may turn soon. The most popular oscillators are Relative Strength Index (RSI) and Stochastics. or oversold elements of an oscillator. A buy signal may be justified when the faster line crosses over the slower, and both of the lines are below zero; while a sell signal may be warranted when the faster line crosses the slower line and both of the lines are above zero. An MACD histogram plots the difference between the two lines and provides even earlier warnings of any changes. Use ADX to determine whether it is a trend or not a trend. The Average Directional Movement Index (ADX) line helps in determining whether a market is in a trending or trading phase. It measures the degree of trend or direction within the market. By plotting the direction of the ADX line, a trader can determine which trading style and which indicators are suitable for the current market. Know the confirming signals. Volume and open interest are the most popular indicators. Volume precedes price and it is crucial to make sure that heavier volume is taking place in the direction of the prevailing trend. Rising open interest ensures that new money is supporting the current trend. It works only because it is self-fulfilling. It only works because traders believe it works and acts by this belief. There is no hard proof that technical analysis works. There seems to be evidence which indicates that the kinds of technical analysis that work change over time with different markets and time periods being suited to different methods of technical analysis. Price changes are random and cannot be predicted. This belief, held by the efficient market hypothesis, states that markets react immediately to information affecting an asset’s intrinsic value. 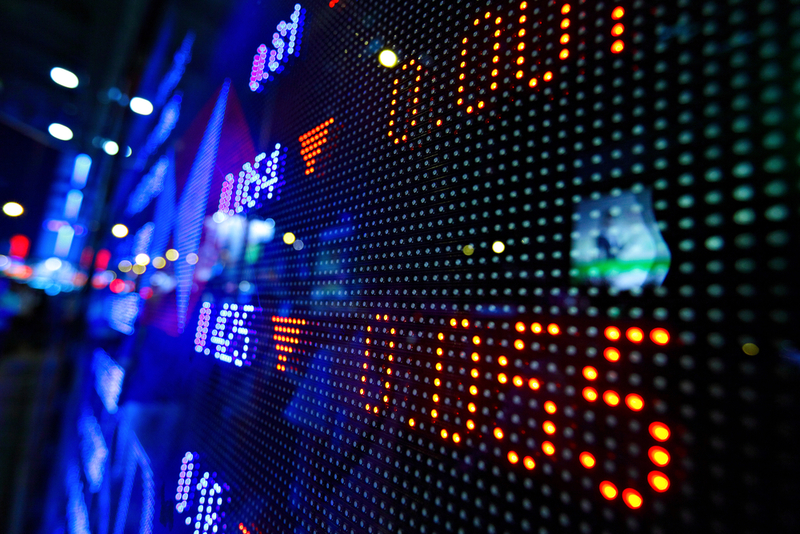 Another trading method to trade CFDs or Forex is Algorithmic trading. All trading method have its inherent risks and some platforms may not allow the use of algorithmic trading. Algorithmic trading is a method of executing a large order (too large to execute all at once) using automated pre-programmed trading instructions accounting for a variety of variables such as time, price, and volume to send smaller slices (child orders) out to the market over time. 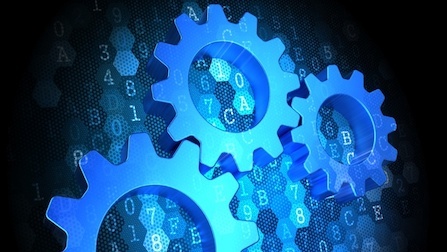 Algorithmic trading is a way to make a profit by minimizing the cost, market impact and risk in an execution of order. Trend Following Strategies, which is very common and follows trends in moving averages, channel breakouts, price level movements and other technical indicators. These are the easiest and simplest strategies to implement because they do not involve making any predictions or price forecasts. Trades are initiated based on the occurrence of popular trends, which are easy and straightforward to implement through algorithms without getting into the complexity of predictive analysis. one market and simultaneously selling it at a higher price in another market. These opportunities offer the price differential as risk-free profit or arbitrage. The same operation can be replicated for stocks versus futures instruments, as price differentials do exist from time to time. Implementing an algorithm to identify such price differentials and placing the orders allows pro table opportunities in an efficient manner. Index Fund Rebalancing, which has defined periods of rebalancing to bring their holdings on par with their respective benchmark indices. This creates pro table opportunities for algorithmic traders. Such trades are initiated via algorithmic trading systems for timely execution and best prices. Mathematical Model Based Strategies, where a lot of proven mathematical models, like the delta-neutral trading strategy, allow trading on a combination of options and its underlying security. Trades are placed to offset positive and negative deltas so that the portfolio delta is maintained at zero. Trading Range (Mean Reversion); this is based on the idea that the high and low prices of an asset are a temporary phenomenon which reverts to their mean value periodically. Identifying and defining a price range and implementing an algorithm based on that which allows trades to be placed automatically when the amount of an asset breaks in and out of its defined range. Volume-Weighted Average Price (VWAP) strategy breaks up a large order and releases dynamically determined smaller chunks of the order to the market using stock particular historical volume profiles. The aim is to execute the order close to the Volume Weighted Average Price (VWAP), thereby bene ting on average price. Time Weighted Average Price (TWAP) strategy breaks up a large order and releases dynamically determined smaller chunks of the order to the market using evenly divided time slots between a start and end time. The aim is to execute the order close to the average price between the start and end times, thereby minimising market impact. Percentage of Volume (POV) requires the trade order to be fully filled. This algorithm continues sending partial orders, according to the de ned participation ratio and according to the volume traded in the markets. The related “steps strategy” sends orders at a user-defined percentage of market volumes and increases or decreases this participation rate when the stock price reaches user-de ned levels. by trading off the real-time market, thereby saving on the expense of the order and benefiting from the opportunity cost of delayed execution. The strategy will increase the targeted participation rate when the stock price moves favourably and decreases it when the stock price moves adversely. Available historical data for back testing, depending upon the complexity of rules implemented in the algorithm.